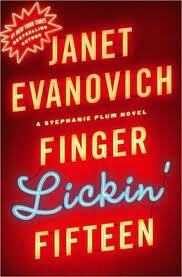 Finger Lickin’ Fifteen is the fifteenth novel in the Stephanie Plum series by Janet Evanovich. Hilarious as ever, this Stephanie Plum book gives you an optimum dose of entertainment. Lula and Grandma Mazur’s (sometimes) mindless and inept action keeps cracking the readers; Ranger and Morelli still remain their usual attractive selves and though Stephanie shows no growth in character, the book is a fun red. Lula witnesses the murder of a celebrity chef and is inclined to nab the murderer, given the hefty reward offered. She ropes in Grandma Mazur and Stephanie to help her promising to split the reward. Stephanie is assisting Ranger in solving a series of thefts that appear to be inside jobs and the two get some good action too. Murder mystery aside, how does Stephanie remain her usual “thin” self is what ticks my brain cells. Maybe it’s her “bounty hunter” job that works for her. But as such, no novelty. Same old car thrashing series. Same old Stephanie-teasing-Ranger/ Morelli. Same old Lula stunts. 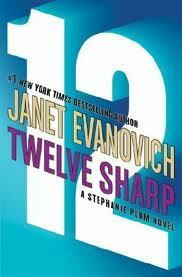 The passion, the mystery and the sprinkle of humor makes it readable – but as a fan I still yearn for a better plot. 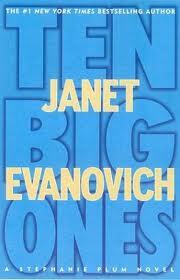 It amazes me how every time Janet come up with a new plot with her regular characters, without sacrificing on the entertainment value of the book. 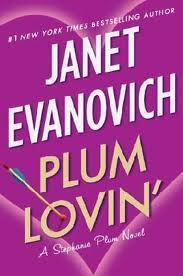 Plum Lovin’ is a short, quick and enjoyable read. Plus we meet Diesel once again (after VISIONS OF SUGAR PLUMS). Diesel (as we remember) has the ability to walk through walls. And this time he approaches Stephanie and tells her that he has the FTA she’s looking for, but strikes a deal before he can give it to her. Annie Hart, an Unmentionable, is a matchmaker. She’s wanted for some armed robbery and assault case, and cannot be brought in until her client list is completely matched up. This task, she assigns to Stephanie. So Stephanie is playing “matchmaker” before Valentine’s Day in order to capture her FTA and recoup Vinnie’s money. Diesel tells Stephanie that he has Annie under wraps to protect her from someone who is out to get her for messing up his marriage. Stephanie has to match five weird clients to complete the job, including Stephanie’s sister’s boyfriend who wants to be married but freaks out at the thought of a wedding. Diesel on the other hand is trying to nab a person who has the power of giving people rashes and hives. A series of humorous blunders involving guns, handcuffs, junk cars, and the general chaos follow as Stephanie tries her “match-making” skills. Surprisingly, no cars being destroyed in this one and no Grandma Mazur wacky-ness! But no compromise on the element of humor. Lula (and her wise crack and alternative perspective) and Ranger’s bodyguard Tank with their comical mis-match and a dicey chase through Trenton’s streets, involving Stephanie’s family and friends keep the readers giggling throughout. Missed having Joe and Ranger around in this one. Sometimes I wonder how lucky Stephanie is to have Trenton, New Jersey cop Joe Morelli, dangerous Ranger and the hunk of a guy- Diesel in her life! 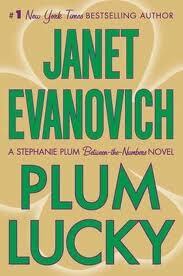 Though there wasn’t much suspense or intrigue, the book had ample of crazy antics and good laughs.